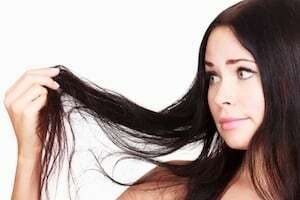 Do Certain Hair Care Products Increase the Risk of Breast Cancer? A recent study performed by Rutgers University revealed some intriguing connections between certain hair care products and breast cancer. 4,285 African-American and Caucasian women both with and without breast cancer, aged 20 to 75, participated in the research. The researchers examined probable breast cancer risk factors such as personal health history, family history, lifestyle and use or hormones. They also assessed the women's use of hair products such as hair dyes, chemical straighteners and relaxers, and deep conditioning treatments that contain placenta and cholesterol. Dark brown and black hair dyes were associated with a 51% increased risk of developing breast cancer among African American women. Dark brown and black hair dyes were associated with a 72% increased risk of estrogen receptor positive breast cancer among African American women. Use of chemical relaxers and straighteners was associated with a 74% increased risk of cancer among Caucasian women. In their press release, the authors of the study stated that more research needs to be conducted to examine these links. There are more than 5,000 different chemicals used in hair dye products, according to the National Cancer Institute. Some of these substances are reported to be carcinogenic and can result in injury such as contact leukoderma, skin depigmentation, chemical burns, bladder cancer and auto-immune diseases. With reportedly 33% of women over age 18 using some type of hair dye, these harmful products are risking the health of millions of women every day. Yet few studies have been published about the association between breast cancer and using hair dye, and most of these ignored other products such as hair straighteners and relaxers. At the least, manufacturers of these products should provide proper warnings about risks in product design and/or manufacturing. If there are any inherent dangers in products, consumers must be warned and advised of precautions to take when using the products in order to avoid harm. Our firm has an excellent track record in holding manufacturers accountable and responsible for their failures to test or to warn of possible side effects as well as inadequate or lack of safety warnings. If you or a family member has been injured or harmed by a defective product such as hair dye or by any other type of personal injury, please contact the Law Offices of Diana Santa Maria, P.A. immediately. Our experienced attorneys will fight for the compensation you deserve. Please call us for a free consultation. Attorneys Diana Santa Maria and Laura D. Dolin, personal injury attorneys in Fort Lauderdale, will fight to secure justice for you and your family. You can reach us at (954) 434-1077 or contact us via the website.